Got a few million to spare and already own a home in LIC? Maybe you should take a shot on a local investment property then. Several different types of opportunities are currently available on the Modern Spaces website. Most significant is the ground floor retail space in the Zipper Building on 48th Avenue offered as a condominium. This gut renovation has been a construction site for at least a decade, but is finally looking to be coming to a close, or maybe an opening, after changing hands several times over the years. The retail portion is being offered as a condominium with 10,400 square feet on the ground level and an additional 5,000 in the basement, 18′ ceilings and large windows. It thus has the potential to be the most prominent retail space in Hunters Point. We spoke with Evan Daniel, the Executive Vice President and Founder of the Commercial + Investment Division at Modern Spaces, about this site and another highly visible property his team is marketing, to get a snapshot of the current commercial property market. Evan knows the streets as he has been solely focused on the LIC/Astoria niche for 14 years, and the first thing he shared is that everything changed overnight with the Amazon announcement. While residential real estate grabbed most of the headlines with stories of mobbed Open Houses and buyers making purchases sight unseen, a whole slew of new investors who had never heard of, or at least never thought of Long Island City pre-HQ2 – think non-NY’ers and foreigners – suddenly saw the light. In so doing they made a tough sellers market into one where both sides were on equal footing. As an example, Evan cited a multi-family building on 5th Street across from Duane Reade that we previously lauded for its aesthetics. Modern Spaces started marketing the property in early Fall, and despite being new construction, fully occupied, and having a recently signed 10-yr market-rate lease on it’s retail space (not to mention location, location, location), traffic was initially slow. Post-Amazon a lot of new buyers are eagerly kicking the tires. So what will all these investments cost you? 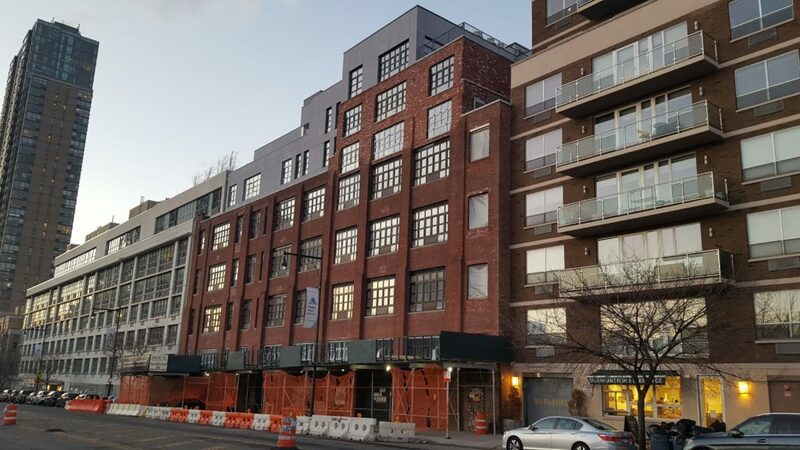 Per figures on the Modern Spaces website, the 5th Street residential building shows an operating income of $645k and similar properties sell for a 5 – 5.5% cap rate, yielding a midpoint price a little over $12 million. For the retail condo I’ll spare you the math as it’s listed for $14.5 million. Ready to be an LIC hitter?